Here is an odd look at an awkward term “How expensive is Cheap”. * Lower average age being lower every year. purchase price on new items as well as the service life of second-hand equipment generally will move through up to 5 owners through the peace of plants service life. Being recycled down from principal contractors down to low budget business starters. This creates a culture of manufacturers that put cheap before quality is mostly 80% of potential buyers of these machines will be looking purely for bottom-line cost to get the units on the road. mostly businesses that have moved into areas that use these types of plan above. I realise that reliability and efficiency is a fundamental part of the formula of their hourly rate based on the forward workload. So here is the minority of price not being the key dictator of the decision of the final equipment that receives the purchase order as an asset. 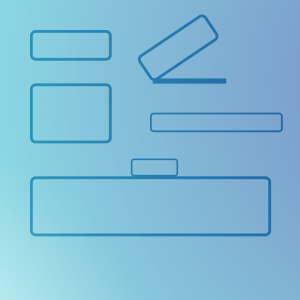 Looking back at how the generic plans can be reassessed to find cheaper alternatives to a better product. Accountants are always experts and everything regardless of their experience. That’s because the simple belief that businesses money they are experts of money so the experts and everything to do with business. This is a fairly honest objective account of how decisions are made within businesses and organisations. But no accountants can tell you confidently that they can factor in KPIs or have a account in the chart of accounts that directly relate to cultural impact of premature deterioration via disconnect of plant and people. Meaning ratio of time that plant can survive within the company when there is no cultural adoption of the item. The reason accountants can’t fix algorithms to this is because it is a perspective rather than a unit of measure. But extremely real nevertheless. This is an extremely common occurrence in companies we can imagine that when those types of comments are made to teams are using that equipment. The problem is that now the plants failure is increasing frequency and cost to the company will be more money in repairs and downtime to prove the point; with unfortunate circumstances where these plant tend to break down on contracts that one in front of principal contractors and government departments. If a non-management company representative is on-site who’s company owns this plant they will be too often be happy to offer up that the decision-makers in the company lack of consider to reliability and quality when buying equipment. Manager’s owner’s or supervisor’s underestimate that these comments do paint a picture of the business that result down the line could cost between thousands or millions of dollars in lost revenues. Q: WHO IS RESPONSIBLE IN THE HEAVY VEHICLE TRANSPORT SUPPLY CHAIN? A big legislative step in awareness and regulation of safety and compliance in Australia was the Heavy Vehicle National Law (HVNR) (originally a schedule to the HVNL Act 2012 (QLD)). The HVNL came into force on 10 February 2014. The ACT, NSW, SA, QLD, Tasmania and Victoria each passed a law adopting or duplicating the HVNL with some modifications and some differences (eg ACT is missing some sections). If you are in WA or NT the law still applies to you once you are driving in the jurisdictions which have the HVNL. The HVNL is administered by the National Heavy Vehicle Regulator (NHVR) with administers the HVNL and 4 sets of regulations. ‘Everyone’ (in the heavy vehicle transport industry) needs to be aware of the recent legislative amendments relating to ‘Chain of Responsibility’ (CoR) which have just come into effect on 1 October 2018. The heavy vehicle transport supply chain is an industry value chain with each link representing a primary activity. 165 000 businesses in that chain were consulted in relation to these recent amendments. The Chain of Responsibility (CoR) is not a new policy concept in Australian transport legislation. The gist is that legal obligations are placed on parties in the transport supply chain. The amendments place a primary duty clearly and transparently on each party (‘link’). The primary duty is to minimize risk by doing all that is reasonably practical to ensure safety. Before the changes, various players in the supply chain could be punished however there did not seem to be consistency in who was issued infringements/charges and punished. Further problems included that members of the supply chain pressured other members to not comply with safety obligations and companies could ‘contract out’ their obligations. -if you own premises where 5 or more heavy vehicles unload or load each day. Often legislative amendments can be ambiguous and difficult to understand. However, these amendments, and the corresponding obligations are currently the subject of an intensive education campaign by the NHVR and, in NSW, the RMS. * There are a series of short helpful seminars on the NHVR website. 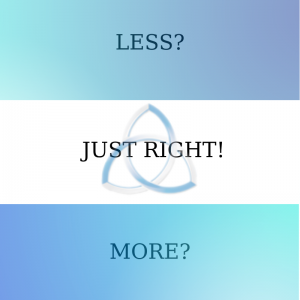 * There is a CoR ‘gap assessment tool’ on the website by which you can answer questions both to assist you to determine your role and where you are deficient in your business practices and systems etc. – you are issued with a list of recommendations to assist you to strengthen your ‘compliance and safety management responsibilities’. * You should look at your own industry codes of practice. * The Crane, Forestry and Livestock industries already have Codes unique to their particular industry and how interactions occur with the NHVL – eg specifically what is carted; how it is loaded/unloaded; how cranes are designed. * National Roads have issued an information package – ‘Safety Management in the Chain of Responsibility’. * The Australian Standard ISO13000 relation to Australian industry risk management generally is obviously instructive. * The NHVR portal has established a free service for those who have fleet to be able to check and monitor registration currency and other details. Watch this space for commentary on how the amendments unfold and further developments including a ‘Master Code’ of practice for the transport industry which is currently being developed. How to choose the right truck body! There are many factors that need to be taken into consideration when choosing the right truck body for your vehicle. Weigh loads, power-ancillary equipment, and type of material are among the most important things to have in mind.Weigh loads come in different shapes and loads, such as pallets, lose boxes and cargo, etc,. Overlooking these could create mayor logistical and operational issues that will ultimately be quite costly. This will also help to determine the dimensions of your body truck, as every inch counts. A truck body too high will end up adding extra fuel to your bill and added drag to your truck. Check our Truck Body Chassis table to see some of the common shapes and pre-design chassis available at ACE. Powered-ancillary equipment is a common feature for truck bodies. Items such as refrigeration motors, cranes, electric lifts among others are often required. Effective and efficient designs will always dictate that less or more, is not good when it comes to vehicles and features. You should aim to find the right size feature that matches the size of the truck engine so no added stress and fuel consumption is put on the truck. Our knowledgeable staff at ACE can guide you on the right direction to achieve the highest productivity with less cost over time when adding or modifying your truck body feature!The material you choose will determine the longevity and fuel consumption of your truck. High quality steel, although heavier than Aluminium, has been the prefer choice for truck bodies throughout the last decades. Quality steel provides the strength needed for a variety of demanding loads against other materials. It is important to protect any steel truck body with a good galvanic layer to protect the body from rust. 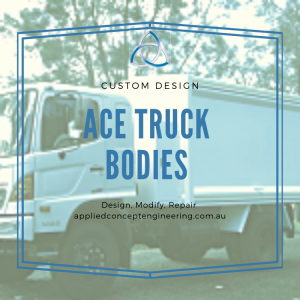 At ACE all our body trucks are made of high quality and galvanise steel.High quality steel mixed with expert engineering and the right features will give you an efficient and durable truck body that will provide you with value over time. Give us a call or email us so we can help you with all your body truck needs!Do you know what you are after? Get a Quote here!